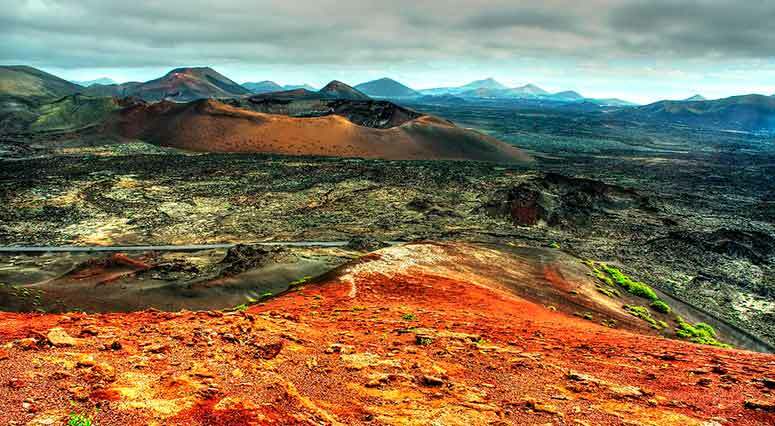 Lanzarote owes its landscape entirely to volcanic activity; the dry climate and lack of erosion means that the volcanic landscape looks very much as it did just after the eruptions. 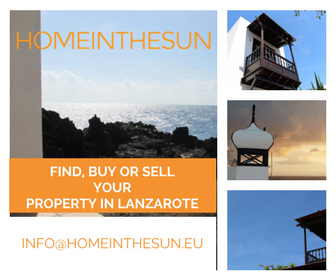 Lanzarote is known around the world as the ‘Island of Volcanoes’. The Timanfaya National Park is the volcanic region spanning about ¼ of the island and whilst there is no monumental peak such as Mount Teide in Tenerife, Timanfaya is a truly surreal and stunning volcanic zone. Lanzarote, a shield volcano comprising of prominent fissure vents and is believed to be 15 million years old. There are four main ‘calderas’ and numerous cones and fissures. There have been two eruption events in Lanzarote the first from 1730-1736 and the second in 1824. The vents for the 1730-1736 eruption are near Montanas del Fuego in the Timanfaya National Park. The 1824 eruption lasted about three months and was focused at the Nuevo del Fuego vent in Timanfaya. During the eruptions in the 1730’s, which lasted a total of 6 years, the island grew several square-miles, new vents were formed, smoke hung in the air, and lava and ash covered large areas of the island. The violence of the eruptions and extreme darkness that followed caused the inhabitants of Yaiza to leave their homes more than once. Lanzarote is home to the longest Volcanic tunnel in the world, the Tunel de Atlantida ‘Tunel of Atlantis’, which is over 7 km long and includes La Cueva de los Verdes and Jameos del Agua. The tallest mountain is approximately 670 mtrs above sea level. Despite the Volcanic nature of the island, Lanzarote has several beautiful white sand beaches such as those at Papagayo. Before the eruptions, large parts of the island were covered in some of the most fertile and rich soil, with grain and vegetables all over. Luckily there were only scattered populations at the time and it is said that only 420 homes were destroyed. One of the areas hit was Geria, which is now famous for its fine wines. 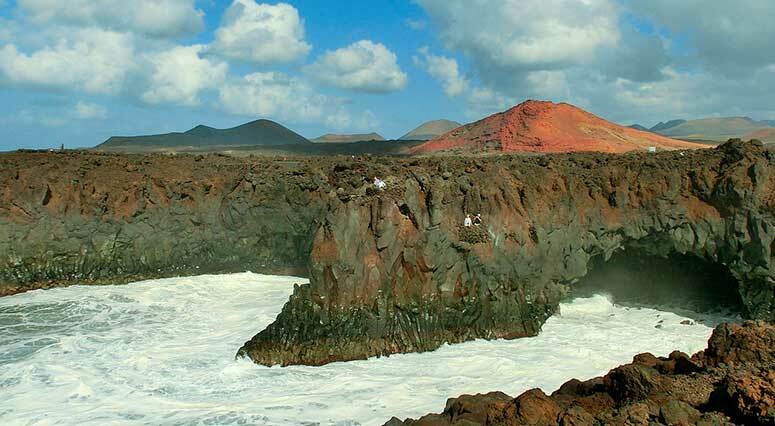 Access to the Timanfaya National Park is restricted in order to protect it, as such there are guided coach tours, a camel safari and guided walking tours that will get you pretty close to the volcanoes. 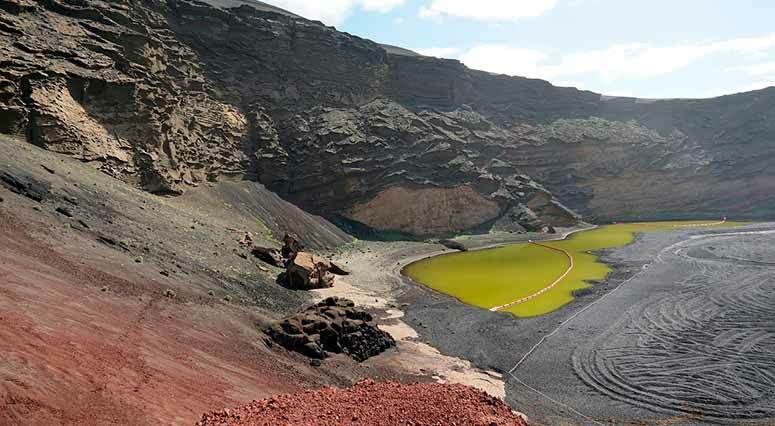 If you like a good walk you can explore the Volcan de las Coronas and the Parque de los Volcanes (a kind of buffer zone surrounding Timanfaya) on foot from various locations.